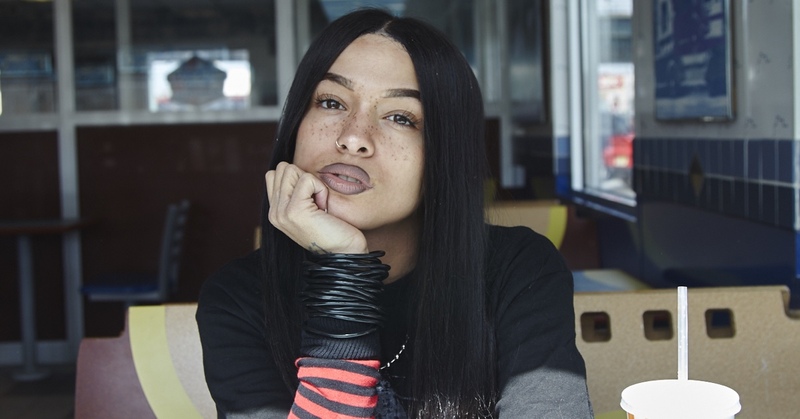 If there was something we were definitely not expecting in 2018 it was that the most captivating emo rock tracks would come from Princess Nokia, champion of boom bap and trap, who is now as into guitars as she is into beats, giving us the finger on the cover of the mixtape A Girl Cried Red while wearing a Slipknot t-shirt. Come to think of it, maybe we shouldn’t be so surprised, as Destiny Nicole Frasqueri has not stopped mutating since she uploaded her first tracks on the net, sashaying through disco soul with the same ease with which she delivers a trip-hop ode inspired in Game of Thrones. If there is any constant in the exuberant career of this Afro-Nuyorican, it is that it’s not her that goes looking for inspiration in the most diverse of genres, but rather them that kneel before her majesty, giving rise to a flow that takes no prisoners.